To their dismay, however, the recipe authors discovered that the hot oil also removes flavorful compounds from the cracked pepper, in particular the terpenes pinene and limonene. To rectify this flavor problem, the recipe authors added pinene-rich nutmeg (Myristica fragrans; Myristicaceae) and limonene-rich orange (Citrus x sinensis; Rutaceae) zest to the dry rub, along with the simmered black pepper. In doing so they take advantage of widespread and diverse array of terpenoids in the plant kingdom. Terpenoids and isoprene, the building block molecule of terpenoids, escape plants and comprise a consequential component of atmospheric chemistry (Guenther et al. 1995). When he learned this, Ronald Reagan declared that trees cause more air pollution than cars. He was wrong about that, but his alarm does raise the question about what all those terpenoids are doing in the air, and in the plant. 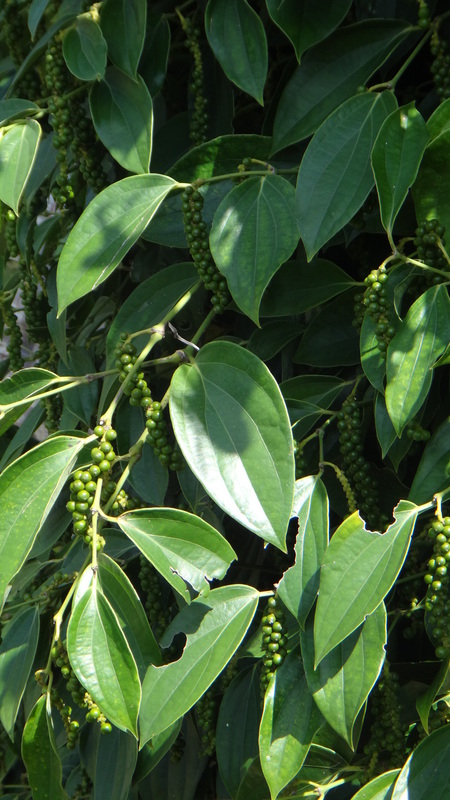 Enzymes called terpene synthases combine particular numbers of isoprene molecules (actually slightly modified isoprene) and other constituents in particular arrangements to create terpenes. There is some ambiguity about the use of the terms “terpene” and “terpenoid,” but hereafter we’ll use “terpenoids” to include isoprene-derived terpenes as well as their chemical derivatives. Chemists have identified over 30,000 different terpenoids, making them the largest and most diverse class of natural products (Trapp and Croteau 2001). Most of them are naturally produced within organisms, with at least half of them synthesized by plants. Some terpenoids contribute to primary plant structure and function, such as gibberellin plant hormones, carotenoid pigments (vitamin A precursors), the phytol component of chlorophyll, and cell membrane phytosterols. Most terpenoids, however, are considered secondary metabolites, meaning that they do not directly contribute to plant growth and may serve other ecological functions, including defense and communication. Pinene and limonene likely fall into this category. The defense function is intuitively obvious, as many terpenoids are powerful antimicrobial and insecticidal compounds, and terpenoids, especially those in viscous plant resins, seal wounds when the plant is damaged (Martin et al. 2003). Terpenoids mediate plant communication because many of them are highly volatile, meaning they readily diffuse into the air and thereby come into contact with neighboring plants, potential pollinators, or carnivorous insects, such as parasitoid wasps, that would fly to the rescue of a besieged plant under assault by herbivorous insects (Paré and Tumlinson 1999). Whereupon receiving these airborne terpenoid distress signals from a damaged plant, neighboring plants may increase their own production of defense chemicals in anticipation of being attacked themselves (Paré and Tumlinson 1999). 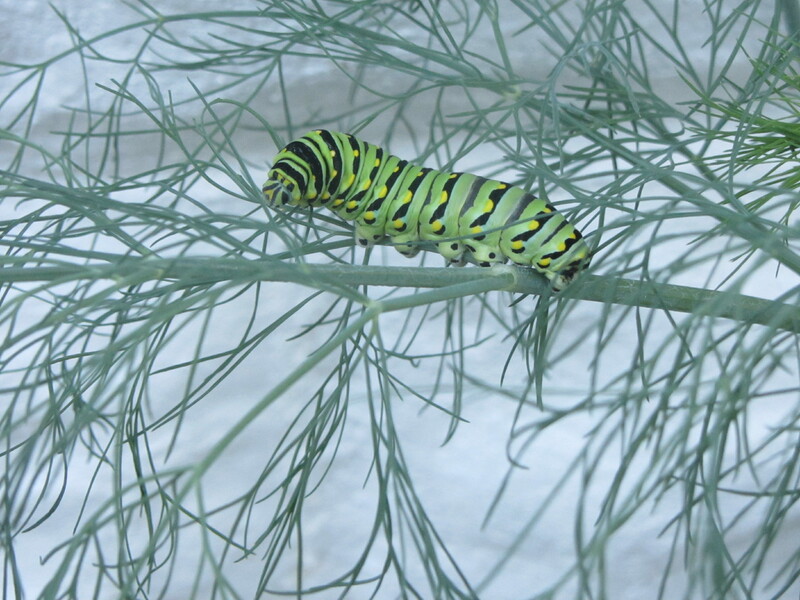 Black swallowtail caterpillar inducing defense compound synthesis in dill. Swallowtail (Papilio spp.) caterpillars make their own stinky terpenes for defense, too, including pinene, deployed via osmeteria. Isoprene and some of its volatile terpenoid derivatives may also escape plant tissue as a byproduct of internal physiological processes, or in response to thermal or other environmental stress, and not necessarily as a defense or communication tactic (Niinemets et al. 2004). Terpenoids have diverse commercial applications and are employed industrially, in perfumes, in food, as antimicrobials and insecticides, and pharmacologically (Kumari et al. 2014). Fragrant essential oils, turpentines and plant resins, all derived from plants, are mixtures with high terpenoid content. In addition to enjoying the fragrant and flavorful orange-scented limonene as a perfume and food flavoring agent (when bound in spices), humans use it as an insecticide ingredient and cleaning solvent. Like limonene, many terpenoids are strongly aromatic and are main ingredients in many flower fragrances. As we discussed in the Allium post, both the aromatic and antimicrobial characteristics of terpenoids (and other flavorful compounds) probably contribute to their popularity as spices. Anti-malarial drug artemesinin (which we talked about in our Artemisia post), and anti-cancer drug Taxol (from yew, Taxus spp.) are terpenoids. 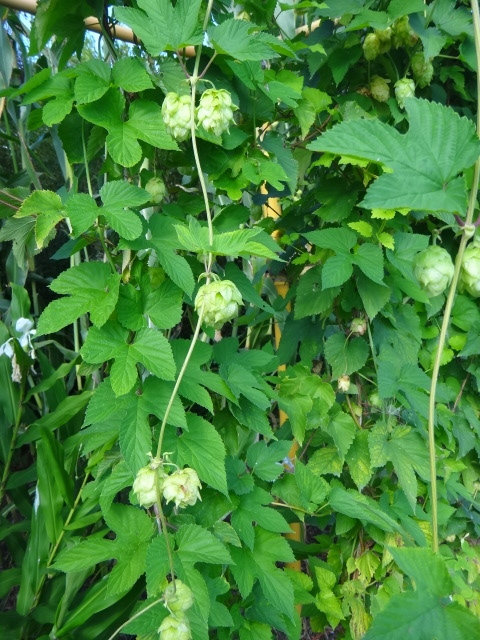 The flavorful and psychoactive/medicinal components of species in the Cannabaceae family (order Rosales), with includes hops (Humulus lupulus), the popular beer ingredient, and cannabis/hemp (Cannabis sativa), are terpenoids. There are many more examples of charismatic terpenoids, but we’ll stop for now. The ingredients of CI’s steak crust are far from the only plants, or even the only spices, that contain pinene and limonene, which are two of the most common terpenoids encountered on the planet (Guenther et al. 1995). A given terpenoid, however, is hardly ever the only aromatic component of a given plant. Plant species vary in how many and which kinds of terpenes they produce, but it can be dozens (Niinemets et al. 2004). Therefore, even though there may be more pinene in needles of its namesake pine (Pinus spp.) 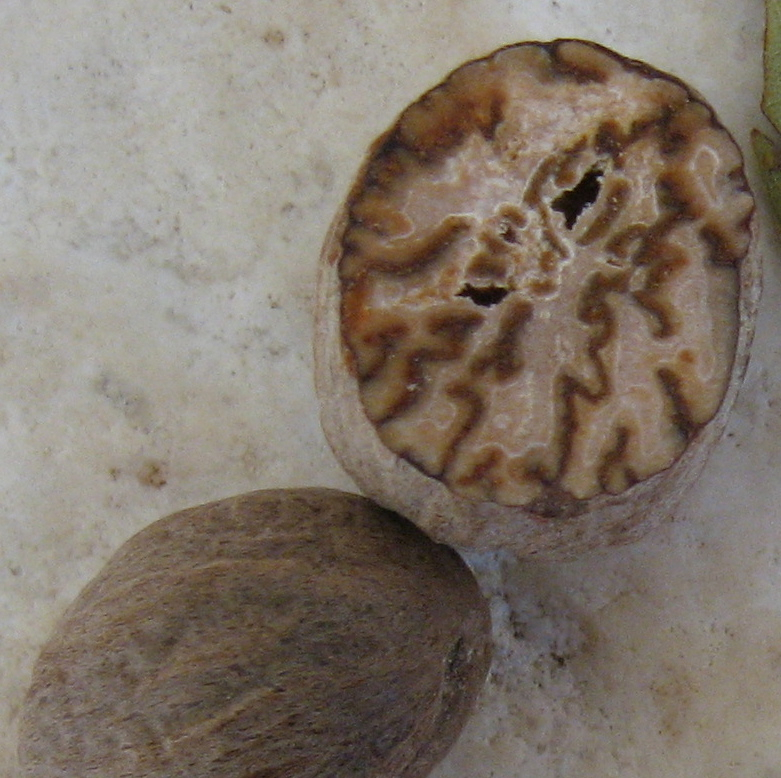 than in the nutmeg seed, taken as a whole, nutmeg may be a tastier ingredient here than pine needles because of all of the other flavorful components in both plants. Pine nuts, however, also contain pinene, so perhaps chopped pine nuts would have been a welcome (and nerdier) addition to the crust. In my culinary opinion, other potential pinene donors to the crust could have included any of the following palatably compatible and pinene-rich (according to the addictive Dr. Duke’s Ethnobotanical and Phytochemical Databases) spices: juniper berry (Juniperus communis), some members of the mint family (Lamiaceae: rosemary, Rosmarinus officinalis; sage, Salvia spp. 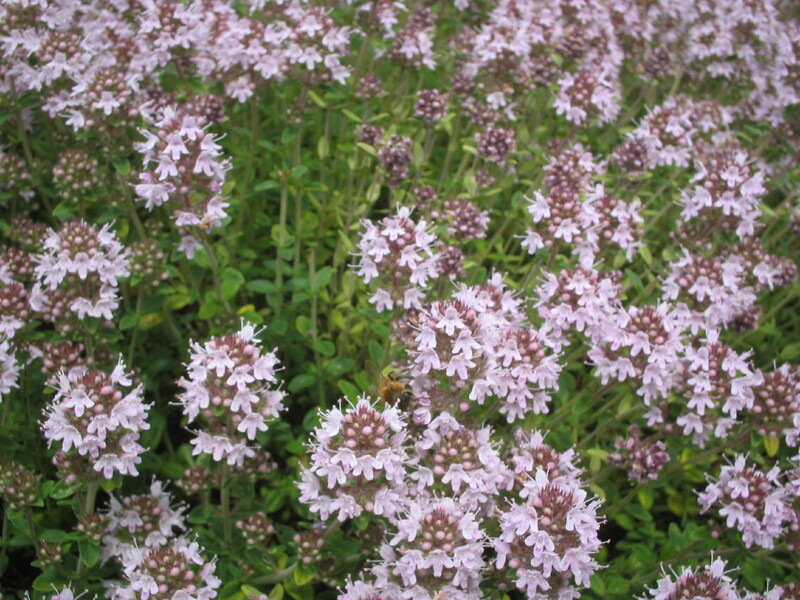 ; thyme, Thymus spp. 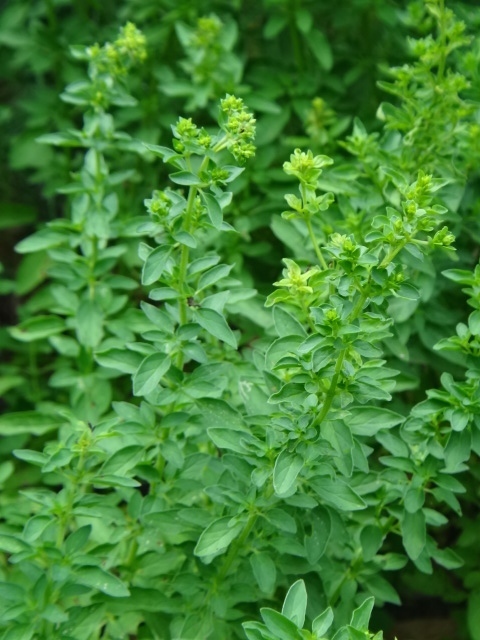 ; oregano/marjoram, Origanum vulgare; basil, Ociumum spp. ; savory, Satureja spp. 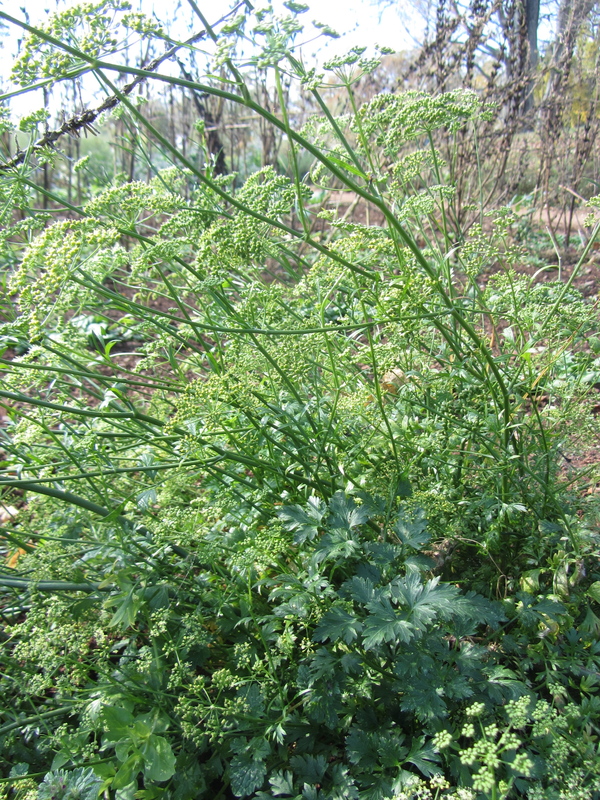 ), some members of the carrot or umbellifer family (Apiaceae: coriander, Coriandrum sativum; fennel, Foeniculum vulgare), epazote (Chenopodium ambrosioides; Chenopodiaceae), bay (Laurus nobilis; Lauraceae), or tarragon (Artemisia dracunculus; Asteraceae). There are several other spices and familiar aromatic plants that have pinene or limonene or both (have fun with Dr. Duke’s database to figure that out, but be aware that you may have to put in the name of a particular terpenoid isomer, e.g. “alpha pinene” instead of just “pinene,” to get comprehensive results). 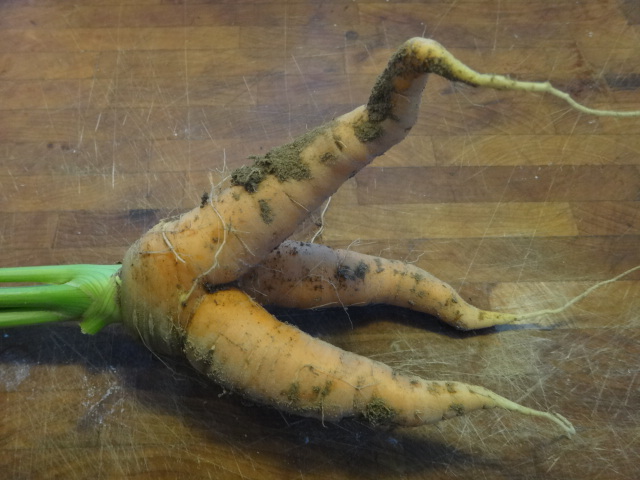 These are just those that I think might work in the CI steak crust. Many of these other potential pinene donors contain both pinene and limonene. The umbellifer species whose leaves are used as a fresh herb (parsley, Petroselinum crispum; celery, Apium graveolens; lovage, Levisticum officinale; cilantro/coriander; and fennel) have respectable amounts of both pinene and limonene, too, so a gremolata employing them would likely be an appropriate accompaniment to the crusted meat, at least from a terpenoid perspective. In fact, tissues of both citrus and pine boast respectable amounts of both pinene and limonene. One of the terpenoids in hops is pinene, so for a limonene- and pinene-themed dinner, serve a hoppy beer with your crusted steak and gremolata. And for dessert have something with ginger (Zingiber officinale), which contains both pinene and limonene, or Katherine’s Basal Angiosperm cake, all ingredients of which contain at least pinene. 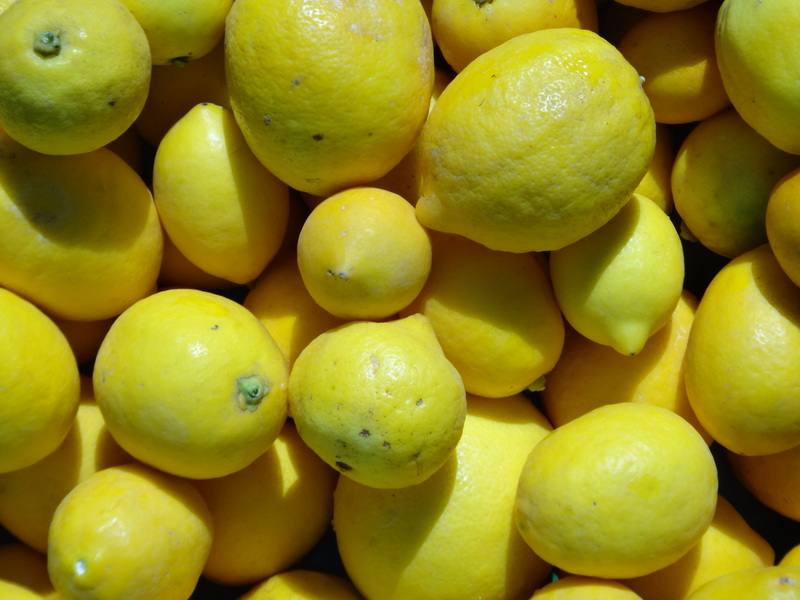 As its name suggests, the orange-scented limonene is a signature aroma in citrus (Citrus spp. : lemon, lime, orange, etc.). I’ve pointed out before that limonene is one of a few citrus-smelling compounds that repeatedly pops up in distantly related lemony-smelling plants. The large pool of potential pinene and limonene donors to the CI steak crust are distantly related and include both evolutionarily old (e.g. 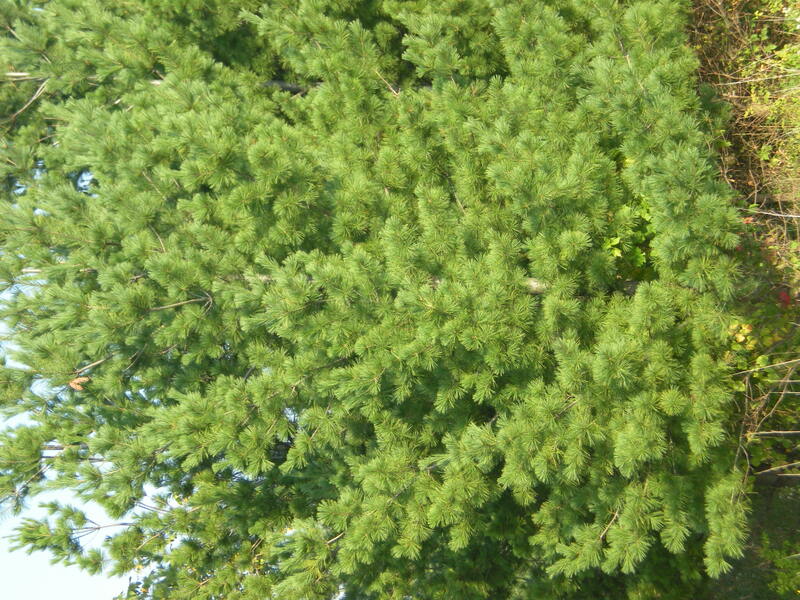 conifers and bay) and recently derived (e.g. mints, umbellifers) lineages (see our plant phylogeny page for details). This phylogenetic diversity in terpenoid source species demonstrates the ubiquity of terpenoid synthesis capacity across all plants and the repeated convergent evolution (independent evolution of the same thing in different species) of pinene and limonene production in particular. Degenhardt, J., T. G. Köllner, and J. Gershenzon. 2009. Monoterpene and sesquiterpene synthases and the origin of terpene skeletal diversity in plants. Phytochemistry 70:1621-1637. Guenther, A., C. N. Hewitt, D. Erickson, R. Fall, C. Geron, T. Graedel, P. Harley, L. Klinger, M. Lerdau, W. A. McKay, T. Pierce, B. Scholes, R. Steinbrecher, R. Tallmaraju, J. Taylor, and P. Zimmerman. 1995. A global model of natural volatile organic compound emissions. J. Geophysical Research 100: 8873-8892. Kumari, S., S. Pundhir, P. Priya, et al. 2014. EssOilDB: a database of essential oils reflecting terpene composition and variability in the plant kingdom. Database 2014: article ID bau120. Martin, D. M., J. Gershenzon, and J. Bohlmann. 2003. Induction of volatile terpene biosynthesis and diurnal emission by methyl jasmonate in foliage of Norway spruce. Plant Physiology 132:1586-1599. Niinemets, U., F. Loreto, and M. Reichstein. 2004. Physiological and physiochemical controls on foliar volatile organic compound emissions. Trends in Plant Science 9:1360-1385. Paré, P. W., and J. H. Tumlinson. 1999. 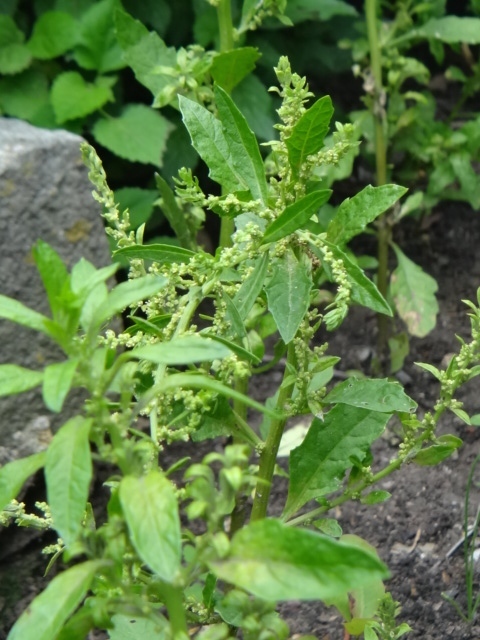 Plant volatiles as a defense against insect herbivores. Plant Physiology 121:325-331. Trapp, S. C., and R. B. Croteau. 2001. Genomic organization of plant terpene synthases and molecular evolutionary implications. Genetics 158:811-832. 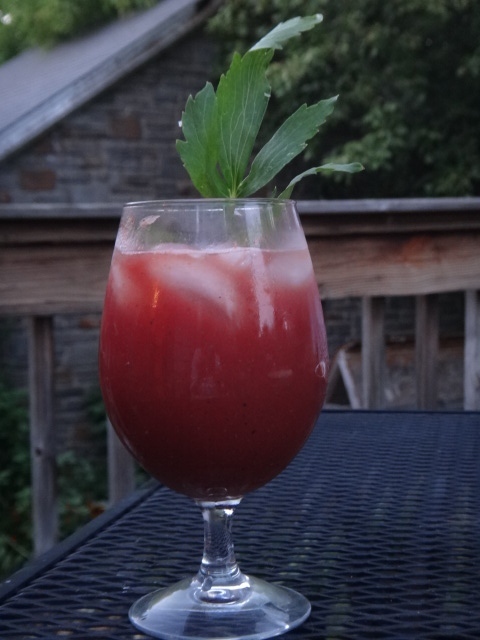 This entry was posted in Flavor, herbs and tagged defense, evolution, Jeanne L. D. Osnas, limonene, pinene, spice, terpene, terpenoid. Bookmark the permalink. One interesting near-exception to this is Backhousia citriodora, the lemon myrtle, whose essential oil is up to 98% citral. [I say “near-exception” because citral is a pair of isomers]. “Pine nuts, however, also contain pinene, so perhaps chopped pine nuts would have been a welcome (and nerdier) addition to the crust.” Wait, don’t pine nuts burn too easily to be in most crusts? Pine nuts on their own do burn easily, but I’ve put them into short bread cookies with no problem. Maybe in a mixture, such as this crust, they’d be OK.